Kim Chi is a young girl from a remote, rural district in northern Vietnam. She plays for a team called Tomatoes, and rugby is her chosen sport. 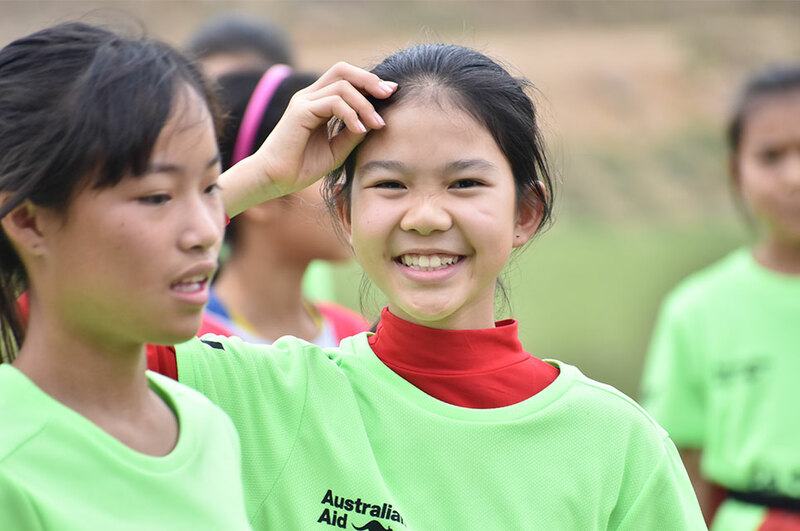 Kim Chi is also one of hundreds of girls from Laos, Vietnam and other disadvantaged communities in Asia who have been given the opportunity to take part in organised sport for the first time, through ChildFund Pass It Back. An innovative sports for development program, ChildFund Pass It Back uses the game of rugby to teach important life skills for vulnerable children and youth. But it hasn’t been an easy transition for Kim Chi; girls and team sports aren’t a natural combination in her small village. First, she had to get her parent’s approval to participate. “They told me that I should stay home and help them with housework; that there is no reason for a girl to play tag rugby, and that I should spend my free time doing my homework. They also thought I should not play sport because I got sick quite often,” says Kim Chi. But her persistence paid off, and her parents eventually changed their mind about this unusual game that’s now attracting such interest from girls and boys alike in their village. Participating in ChildFund Pass It Back means Kim Chi is healthier, saving money and “passing it back” to other children in her community. “Seeing my friends play the game, and knowing I had to stay home, made me try my hardest to complete my house chores,” Kim Chi says. “This includes cleaning the house, cooking meals, doing the laundry, washing the dishes, as well as finishing all my homework. Kim Chi’s parents were prompted to do their own research. They spoke to other community members and found the program very interesting, particularly the life skills curriculum – which helps young people in a range of areas including leadership, problem solving, gender equity, conflict resolution and financial planning. Sports for development programs such as ChildFund Pass It Back not only uphold the right to play, but teach important life skills to young people in Asia’s most disadvantaged communities. How ChildFund is ‘passing it back’ through sports for development. Watch this video to find out more. 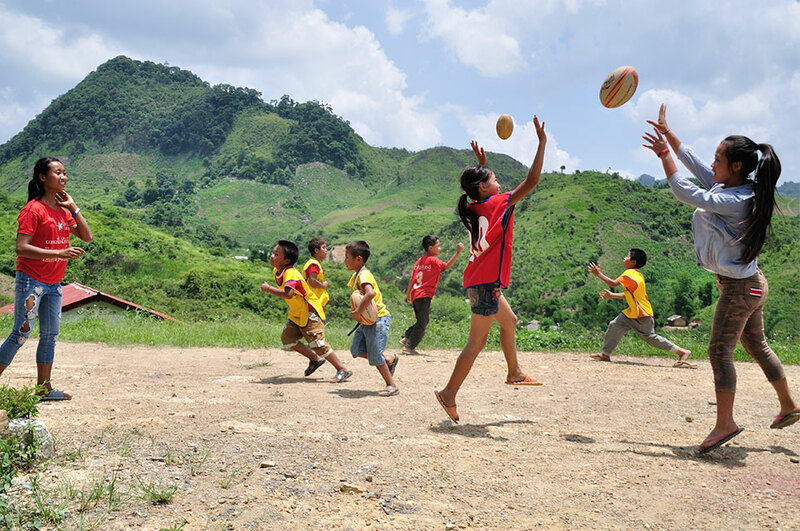 After being gifted with her own egg-shaped ball, Kim Chi now brings it to her village playground on a regular basis and teaches other children how to play tag rugby. She doesn’t have a set of tags, but this hasn’t proved a problem so far. Sharing her newfound knowledge with other young people, Kim Chi is now ‘passing it back’ to her own village. She is also a powerful example of how young people can lead and drive change in their own communities. ChildFund Pass It Back is supported by the Australian Government.